Your one-stop shop for overhead doors | JD Doors Ltd.
Steel Craft Door Products Ltd.
JD Doors Ltd. has been providing the residents of Alberta with quality overhead doors and door openers since 1981. With more than 35 years of residential and commercial experience, you can count on us to get the job done right the first time. We work hard to bring you the very best products. That’s why we are pleased to carry Garaga garage doors. Made right here in Canada, these overhead doors are built for our harsh weather conditions. Garaga builds the most energy-efficient doors on the market, thanks to their superior insulation and weather-stripping system. Whether you need one large traditional door, or several contemporary ones, we have the perfect look for you – check out our online gallery to see our wide selection. Ready to update your overhead door? Contact us today at 780-447-4331 or complete our online form for your free quote. For a more hands-on experience, we invite you to visit our Edmonton showroom at 20426 – 107 Avenue NW. Once you choose your garage door, it’s time to complete your system with a new door opener. The right opener makes your door easier – and safer – to operate. We offer fast, reliable service and fair pricing on all of our residential and commercial door openers. In keeping with our commitment to quality products, we carry the full line of LiftMaster door openers. We believe LiftMaster has the best garage door openers on the market. Manufactured by Chamberlain, all LiftMaster products are reliable and quiet. Each unit comes equipped with the latest technology and safety features. Many accessories are also available, like internet gateways, keyless entry systems, remote controls, motion detectors and more. At JD Doors Ltd., we are willing to work hard in order to make our customers happy. We back that dedication with quality products and exceptional service. For more information on the products we carry, please visit our door opener section. We believe only a professional can properly assess your needs and then carry out the work. That’s why our technicians are qualified Garaga Experts and CDI certified. 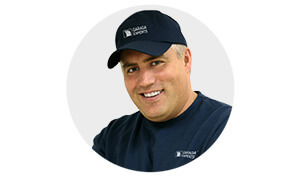 We complete all garage door installation, repair and maintenance with safety in mind. We guarantee the job will be done to the strictest industry standards. At JD Doors Ltd., we pride ourselves in giving our customers great service and quality parts at a fair price. To best serve you, we offer 24‑hour emergency service. Simply call our emergency line at 780-991-4435 and we will dispatch a technician right away. We also offer annual and preventive maintenance programs to keep your garage door running smoothly all year long. Call us today at 780-447-4331 or visit our showroom! Located in Edmonton, Alberta, we also serve Spruce Grove, Stony Plain, St. Albert, Morinville, Sherwood Park, Beaumont, Leduc, Devon, Calmar, Camrose, Lloydminster, Red Deer, and all surrounding communities. Edmonton, Spruce Grove, Stony Plain, St. Albert, Morinville, Sherwood Park, Beaumont, Leduc, Devon, Calmar, Camrose, Lloydminster, Red Deer and all surrounding cities.